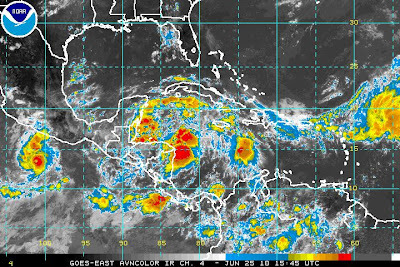 Press Release - NEMO - June 25th, 2010 - The National Emergency Management Organization (NEMO) warns the public of an area of disturbed weather, Invest 93, off the Honduras/Nicaragua border moving on a West North Westerly track. 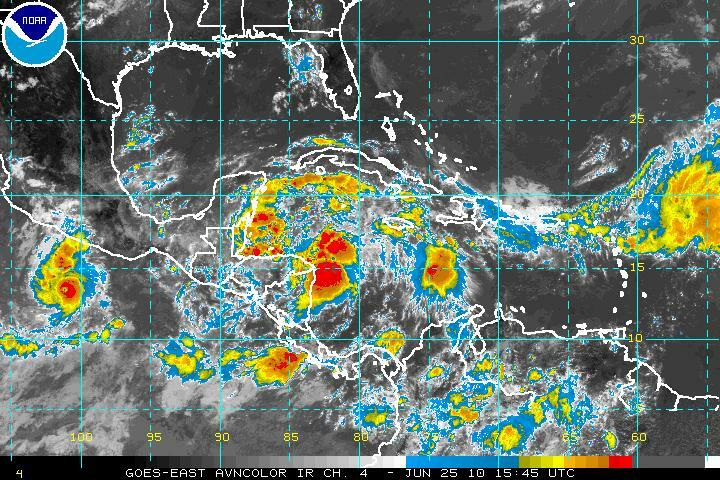 This system has the potential for development as it enters more favorable conditions existing to the East of Belize. Presently the National Met Service predicts a 70% chance of the system developing into a Tropical Depression offshore Belize as it moves toward the Yucatan Peninsula during Saturday and Sunday. The public is being advised to be aware of the increased likelihood of further deteriorating weather conditions as this system nears our starting later today and over the weekend. The NEMO advises the public to be prepared for increased rainfall, potential flooding and unfavorable sea conditions. All those persons along the coast and people traveling to the cayes need to pay particular attention to sea conditions. San Pedro residents are advised to be on the alert for tropical storm weather!